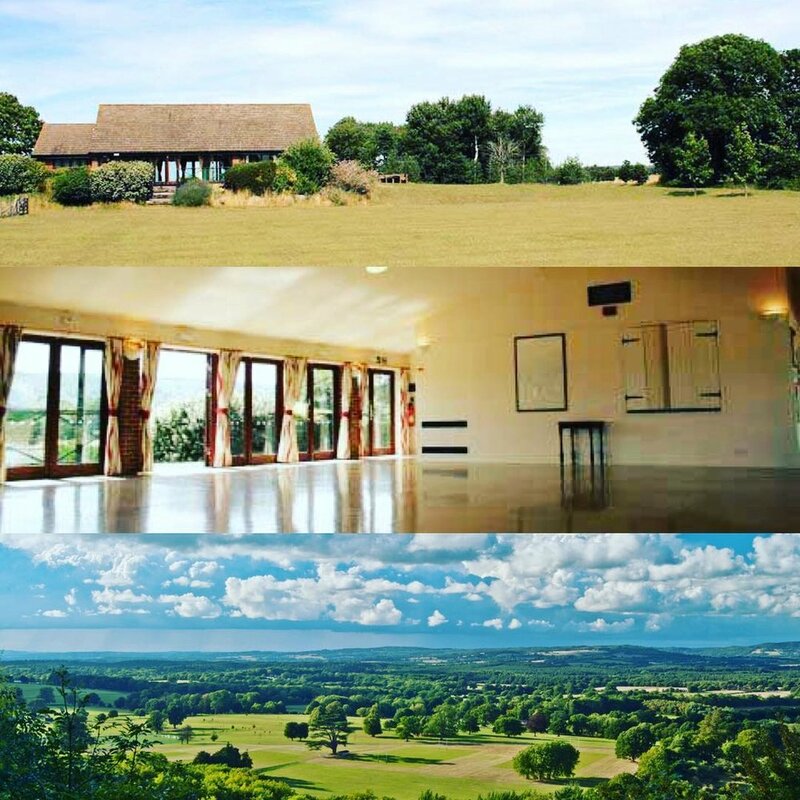 Hatha and Vinyasa Yoga classes in beautiful dreamy locations in Rudgwick, Cranleigh, Duncton, Wisborough Green and Warnham, West Sussex. I am a Hatha and Vinyasa Yoga teacher from Tismans Common, West Sussex, currently teaching Yoga in a variety of beautiful spaces in nearby villages of Rudgwick, Tillington, Wisborough Green, Duncton and Warnham. Our GLO YOGA classes explore movement with breath, celebrating the human body and what it can do for us, whilst respecting and honouring its signals and limitations. I completed my L3 200hr Teacher Training, including L3 Anatomy and Physiology, down by the sea in beautiful Brighton and Hove. I have a passion for yogic philosophy and the history behind this ancient practice and always include pranayama breathing exercises and mindfulness meditations. Yoga can do so much for us on so many levels and I always encourage all our yogis to practice mindfully with positive intentions. All classes cost £12 and can be booked on a PAY AS YOU GO basis. There is also the option to buy a 6 class pass for £60, meaning you get one class FREE. 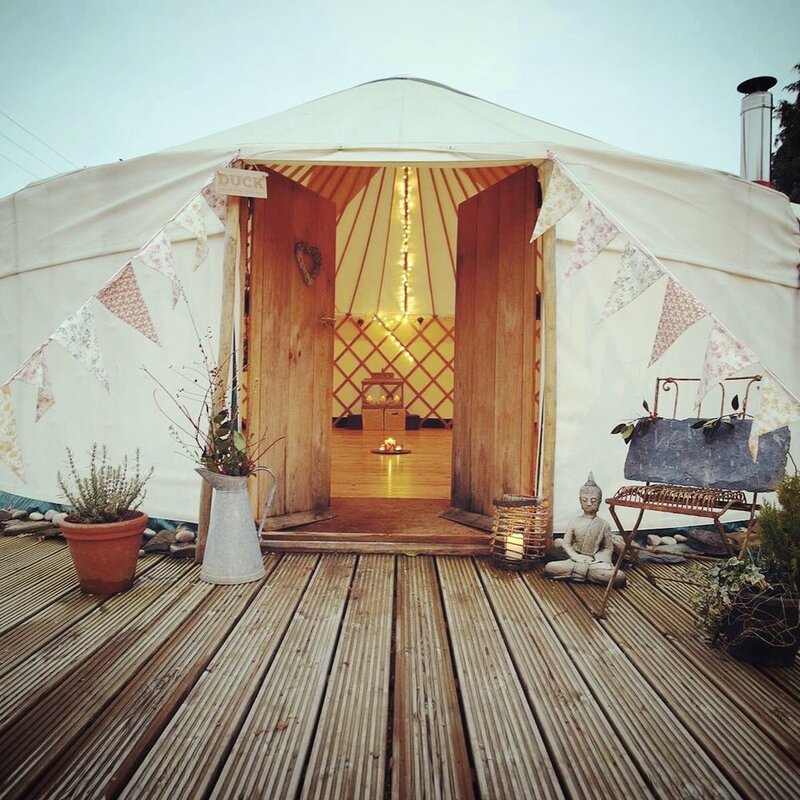 Start your week the right way with this Monday night vinyasa flow class in a beautiful yurt tucked away in the heart of Warnham, West Sussex. Expect fairy lights, incense, a crackling log burner and some energising vinyasa flow to connect mind, body and soul. This class is beginner-friendly but will include some more challenging options for those who want a bit more fire in their practice. This harmonising flow class is for anyone wanting a super chilled practice - we flow SLOWLY from asana to asana and take time to look at alignment, really breathing and releasing into the poses. With pranayama breath work to start and a long guided mediation or savasana to finish, this class will leave you sparkling for the rest of the day. This calming and balancing Hatha style class will be held in a fabulous space above the cafe in Mann's. Week by week we will work through the many classic asanas (postures) to strengthen body, mind and sprit and work on flexibility, balance and focus, We will also be exploring Yogic philosophy, traditional breathwork and some lovely meditation and deep relaxation to finish. This class is open to complete Beginners and likewise would be a lovely mellow "stretch and flow" for anyone with a regular practice. This will be a relaxing slow flow class suitable for beginners and those who like a gentle vinyasa practice. We will move consciously with our breath to stretch, release and strengthen the body, mind and spirit. As with all other classes we will start with conscious breath work to calm the mind and we’ll end with a lovely long relaxation leaving you deeply chilled from head to toe. Probably the most fiery session of the week, this class has grown as our amazing yogis have got stronger, more flexible and wiser. We flow mindfully with our breath through a collection of vinyasa sequences and play with balance poses, backbends and lots of core work….. oh and after all our hard work we enjoy a good ten minutes of savasana for total inner stillness and relaxation. This candlelit class always has a friendly buzzy atmosphere and a great gang of passionate and inspiring yogis. This relaxing and nurturing class is for expectant mums in their second and third trimesters. We will gently flow through asana sequences especially designed with baby bumps and the pre-natal body in mind. In addition to our relaxing physical practice we willl work with positive affirmations, mudras and deeply calming yogi breathwork to support mum and help her connect to baby. No prior experience of Yoga is required - I will explain everything to ensure we practice safely for both mum and baby. We will meet for coffee and cake in the cafe downstairs for those who would like. Vinyasa Yoga For All is a relaxing and revitalising little mid-week treat for mind, body and spirit. We will flow through classic vinyasa sequences and play with balance poses to work on our strength and focus. You can expect calming pranayama breath work and a long deep savasana for total release. This class is open to all levels of yogi. 1;1 Private Yoga sessions are such a wonderful way to treat yourself, refine your practice and focus on posture alignment, and build your confidence up. This is an building strength back after an injury or illness, or perhaps for someone new to Yoga wanting an introduction before coming to class. I can tailor our sessions to suit your personal Yoga goals - we are all so different and practice Yoga for a million reasons. A 1;1 can ensure you get exactly what you are looking for from your personal practice and we can also discuss how you can build your own regular Home Practice. I am also fully qualified in Pregnancy Yoga and am delighted to be able to offer Pregnancy 1;1s. In addition to this I can offer a more restorative session with the deeply healing and nurturing practice of Yoga Nidra : this is especially lovely for anyone recovering from illness or desperately in need of some TLC. I provide all mats and equipment and am happy to travel to you. I am delighted to now be able to now offer Family Yoga sessions, following from my intensive training at Rainbow Kids Yoga at Pineapple Studios in London. Family yoga is such a fun way to relax, have fun and unwind as a family. I can tailor our sessions to suit the ages of your children and your personal goals - fore more playful yogis we have challenging balance poses and some partner and Acro Yoga. For those after some more mindful moments I have lots of creative mindful techniques and games up my sleeve, so we can welcome in a little bit of calm. I am happy to travel to you and will come with all equipment. I am available to teach sessions for larger groups including corporate team building days, hen and stag weekends and festivals upon request. Please get in touch to discuss your requirements and we can make a plan. GLO YOGA WORKSHOPS, RETREATS AND EVENTS ARE OPPORTUNITIES TO SLOW RIGHT DOWN AND ALLOW THE MIND, BODY AND SPIRIT TO REST, PLAY AND TOP UP ON GOOD VIBES WITH LIKE-MINDED SOULS IN HAND-PICKED BEAUTIFUL AND UNIQUE LOCATIONS AROUND SURREY AND SUSSEX. I AM ALWAYS INTERESTED IN WORKING WITH CREATIVE FOLK SO IF YOU HAVE A SPECIAL EVENT AND WOULD LIKE TO INCLUDE YOGA, KIDS YOGA, YOGA NIDRA OR MINDFULNESS AND MEDITATION PLEASE GET IN TOUCH. We’ll start the day with some awakening yoga practice focusing on the solar plexus as we prepare to rise, breathe and hit the power button! The solar plexus (aka Manipura) is a fiery chakra bringing us warmth, strength, energy and light, and is home to our feelings of power, self-esteem, vitality and our will for transformation. Connecting to our solar plexus chakra as we emerge from the winter and rise into our summer selves, we’ll move consciously with our breath through traditional sun salutations plus some more playful variations as well as enjoying a revitalising Dancing Warrior Flow. This will be followed by a gorgeous reflexology taster session led by our super lovely Heather aka Magnolia tree therapies. She’ll show you how to press your own buttons - using reflexology techniques that will boost you energy levels and leave you feeling balanced and grounded. She’ll also be offering all you lucky yogis a free hand-massage at the end of the session. As usual we’ll then be treating you to a delicious vegetarian buffet lunch by the fire where we’ll have the chance to sit, chat and share our thoughts on the morning. In the afternoon we’ll be taking the focus inward, with a self-reflective meditation led by the lovely Ellie (SAS founder) following up with an afternoon of creative visualisation and intention setting. We’ll create a seasonal vision board (Spring, Summer, Autumn, Winter) to help you see you year clearly and create a focus for each phase of the year. We’ll close the day with some collective breathwork, a huge hug and a gift bag for you to take away as a gentle reminder to take care of yourself in the months ahead. With Spring just around the corner, now is truly the time to rise and shine! Please note: both the Yoga and Art activities are suitable for all levels and no prior experience is needed to enjoy this beautiful mindful day. Spaces are super limited on these small, intimate seasonal gatherings, so book soon if you’re keen to join us! In the Yogic tradition, the human body has seven key energy centres: the chakras. These wheels of energy that spin and vibrate within the energetic body radiate from different points along the spine forming a vertical axis which runs from the base of the spine (muladhara : root chakra) to the top of the head (sahasrara : crown chakra). We will start our day with an exploration of the seven key chakras in the form of a harmonising and balancing yoga practice, moving through a series of poses sequenced according to the chakra system. We’ll begin with deeply calming and grounding chakra inspired meditation and through our practice we will bring our awareness to each of the seven chakras and their qualities and attributes. We will close our practice with a delicious long sleepy savasana (deep relaxation) in the beautiful little yurt. This will be followed by a chakra based aromatherapy taster session led by wonderful therapist Heather Croft (Magnolia TRee Therapies). She will share her wisdom working with essential oils to help you create an aromatherapy rollerball blend that will help you find your centre if you’re feeling off-balance. Each chakra is represented by a lotus flower - each with a different colour and number of petals. So in the afternoon we’ll come together for a divinely peaceful and flowing creative session. We’ll draw out the different botanical shapes of the lotus and then use beautiful blooming watercolour paints to add a rainbow of vibrant colours to our designs. We’ll encorporate the chakra symbols in our final paintings, creating a vibrant visual reminder of our journey through the chakras to be used as a visual device for meditation or simply to brighten up your home. As usual we’ll provide a delicious vegetarian buffet lunch to nourish the soul and home baked cakes for the heart. We’ll send you away at the end of the day with a big hug and a little gift bag to remind you of that time you spent in our little sanctuary. A wonderfully slow Sunday dedicated to Women’s Wellness - we will de-mystify the workings of the female form and will share a variety of techniques and approaches including exercise and diet, Yoga and Meditation for optimal function and well-being throughout all stages of a woman’s life. We'll flow through a harmonising yoga practice carefully designed to connect mind, body and spirit before enjoying light hearted and inspiring discussions covering all manner of women's isues, including digestion and gut health, the menstrual cycle and menopause, anxiety and depression, and how to take care of your pelvic floor. This event will take place in the beautiful Sussex Country Yurt complete with crackling log burner and calling “back to nature” vibes. We’ll be providing a delicious and nutritious vegetarian lunch for our guests and will close the day with the deeply nurturing and restorative practice of Yoga Nidra. We are so looking forward to sharing this wonderful nurturing day of Women's wellness wisdom with you. Join us for an ever so special afternoon of creativity for well-being at the stunning Hannah Peschar Sculpture Garden. In the grounds of this stunning garden nestled in the heart of the Surrey Hills we’ll be taking a moment or two to connect to nature - slowing things down with a mixture of mindful creativity and Yoga in this beautiful and super peaceful location. Please get in touch if you would like to know more about GLO YOGA or to book a class.